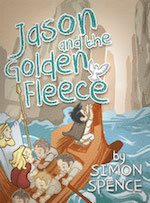 Each of our stories use the original Greek names- they are fun and reflect the original tale. So just for those adults who struggle to be kids again, here is your cheat-sheet on how to pronounce those names in our paperbacks. Don’t worry your kids will get them and pronounce them for you!